The fourth season of BBC’s sci-fi drama Orphan Black doesn’t premiere until April, but the show just confirmed the fate of one of its major characters. 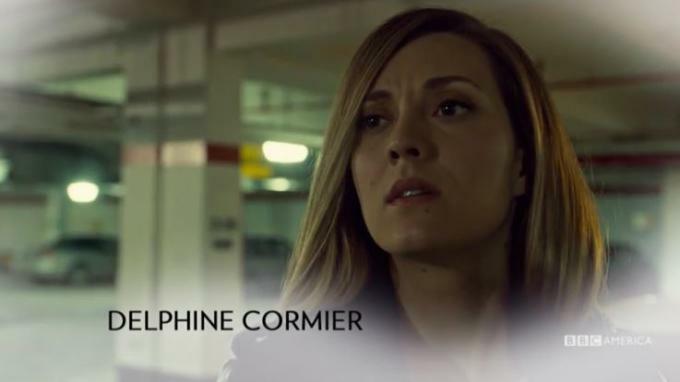 At the end of last season, we saw Delphine Cormier (Évelyne Brochu) gunned down after receiving an ominous message that she wouldn’t live through the day. However, if we’ve learned anything from other characters we previously thought had expired, there was still a chance she could be alive. We now have an answer thanks to a humorous "In Memoriam" video released by BBC America. The two-minute clip spanning all three seasons covers memorable characters like Beth Childs and Paul Dierden, as well as funny bits like Rachel Duncan’s eye. The last few seconds also erased all doubts about Delphine’s fate.